Patrick is a graduate of Penn State Behrend with a degree in Business Economics. He spent 3 years in the Banking and Lending industry prior to becoming a Licensed Realtor in 2004. During that time, he has been a consistent Multi-Million Dollar Producer. Patrick prides himself on his professionalism and knowledge of the industry and would like the opportunity to be interviewed. Call Patrick at 833-3310 or (814) 397-4694. Bill is a life long resident of Erie County and has experience in helping buyers and sellers in both Erie and Crawford counties. He strives to provide honest, dependable service to all his clients. Bill can be reached at his office, 833-3310 or at his residence at (814) 756-5425, and on his cell 882-1721. Chuck has been a licensed Realtor since 1978 and has been an associate with Pennington Lines since 1987 in our Erie office with consistent Multi-Million Dollar production. He likes to help buyers find the right property at the right price with the best possible financing. Call him on his cell (814) 456-4446, or home (814) 587-2200. I was first licensed in real estate in the state of New York. Since then I have completed numerous training courses and have worked with a broad spectrum of clients regarding residential, commercial, corporate relocation and investment properties. Colleen has a good working relationship with all involved in real estate transactions: the Sellers, Buyers, Brokers, attorneys, lenders and home inspectors. For assistance, please call or text her at (814) 397-7562. Galina joined Pennington Lines Real Estate with the hope of building a successful future in real estate with the Erie community. She can be reached at the Erie office at 833-3310 or at her home, (814) 454-1002. Please don't hesitate to call her for all your buying or selling needs. Jeff has been a resident of Erie all his life. He has a degree in Building Construction and also has an extensive background in the finance industry. Jeff prides himself in providing customer service and hard work for all of his clients. Feel free to contact him on his cell (814)440-1941 or at the Erie office (814)833-3310 or by e-mail. Diane has been a Realtor for over 30 years. She has a broad knowledge of the real estate market having worked with the family business in construction and home building. She was a past member of Realtor Board of Directors and has served on the board of directors of Erie Dawn. Jessica has been a native of Erie for over 50 years. She has been a licensed Real Estate Agent since 1993. She is a member of the Erie, State and National Board of Realtors. You can call her for all your real estate needs at home (814) 838-1706 or office 833-3310. Jo is a full time agent and Multi-Million Producer. She started her Real Estate career in 1985, has been an associate with Pennington Lines since 1995, and is a lifetime PAR Excellence recipient. She specializes in first time homebuyers, aggressive marketing and Buyers Agency. Give Jo a call at the Erie Office at 833-3310 or her home at (814) 864-7827. 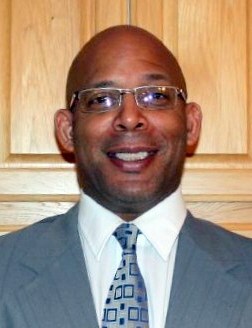 John Easter Jr. has been a Pennsylvania Licensed Realtor since 2004. He has been a consistent million dollar producer and is striving to get to the next level. John prides himself on integrity and honesty. Whatever your real estate needs are he is willing to work diligently to satisfy them. Call him at the Erie office (814)833-3310 ext. 214 or cell (814)873-5810. Judi offers 29 + years experience in the Real Estate Market as a full-time Associate Broker/REALTOR. 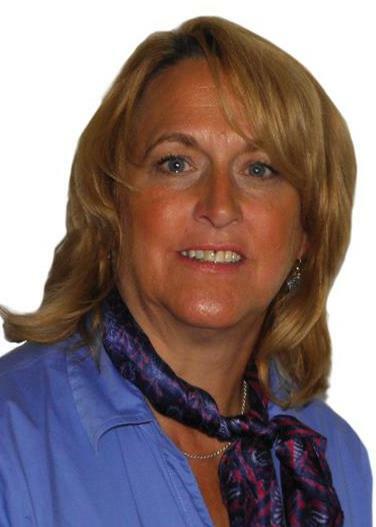 Judi served as Director & Past President for the Greater Erie Board of Realtors. She is a consistent Multi-Million Dollor producer. Judi has a proven record and can show you any listing in the Community. Buyer or Seller Representation at it's BEST!! Call Judi today at the Girard Office (814) 774-2622, or Cell (814) 440-4029. 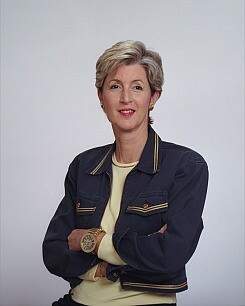 Mary has been a resident of Fairview since 1979 and has been a full time Realtor since 1989. A consistent Million Dollar Producer, she has earned the Graduate Realtor Institute and Accredited Buyer Representative designations. Mary has also been in the relocation segment of Real Estate for most of her career. She takes pride in her commitment to her clients and is ready to help in all your real estate needs. Mary welcomes her friends and past clients to call her at the Girard office at 774-2622 or at her home 474-1066. I have been a Realtor with Pennington Lines since 1996 and I absolutely love what I do! Whether you are looking to buy or sell I would love to put my years of experience to work for you. I specialize in residential, income properties and vacant land. If you are looking for someone who will go the extra mile for you with professional, personal service, call me at (814) 572-3523. Ross is a native of the Erie area. He has lived in Girard for 7 years with his wife and daughter. He has spent 10+ years in construction prior to becoming a Realtor in 2005. His background and experience in construction has helped his buyers and sellers to make more informative decisions on their investment. Ross is also a certified Loss Mitigation Consultant for many mortgage corporations. His family owns and operates the construction company Erie County Builders and is a distributor for Southland Log Homes in all of Western, PA. He can be reached at 814-490-8514. Sandy has been a full time Realtor since 1990. She has been involved with various Real Estate functions during her career. She has earned the GRI designation, SHS, CRRS and the PAR Award along with other educational classes. 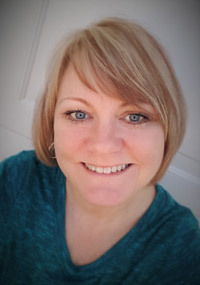 Sandy resides in Summit Township and has been on the Township Planning Commision Board and also a member of the Summit Township Senior organization. She looks forward to working with Sellers and Buyers in the Erie area market. Call at her Erie office (814)833-3310 or her cell (814)450-9461 or e-mail her today. Susan is a life long resident of Northwestern PA and currently resides in McKean. She has been a realtor since 1997 and has experience in listing and selling residential and income properties in the Erie and Crawford Counties. I have been a Million Dollar producer and would love to help you find that dream home. You can contact Susan on her cell phone at (814)566-2794 if you are looking for a more personal touch. Chris is a lifelong resident of the Erie Area. He has worked as an educator since 2001 and reeived his real estate license in 2016. He practices real estate with his wife, Cindy, as a team. Together, they provide thorough, honest and expert service in a professional and personal manner. Chis can be contacted on his cell at 814-397-3094. 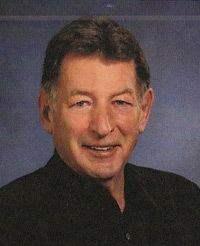 Jeff has been an agent for more than 40 years and has also owned his own office. He has the knowledge and experience in every facet of the real estate industry but he is particularly adept at Commercial, Industrial and Investment properties. Jeff has been a multimillion dollar producer, past president of the Erie Board of Realtors and was recognized as Realtor of the Year in 2006. He has the drive and experience to find that perfect property or to help you make a solid real estate investment.